The Lurex Striped Tallit is made from 100% virgin wool. 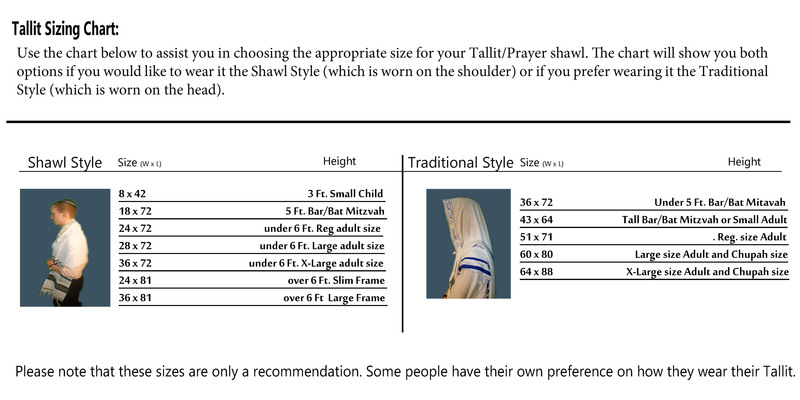 The tallit offers the comfort as well as the regal look of a pure wool tallit shawl. 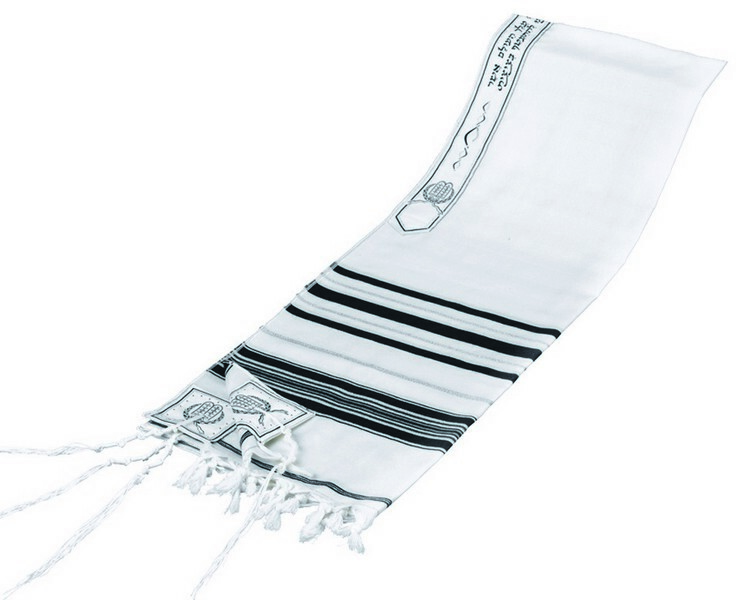 It is designed like the classic tallit shawl but with the addition of gleaming Lurex stripes. This tallit is a favorite by those seeking the traditional look but want that glitzy flash. The tallit comes complete with a matching atarah neckband with the Hebrew tallit blessing embroidered in an elegant cursive font. Both sides have knotted fringe finishing. All four corners are reinforced with an extra piece of decorative cloth. The Lurex Striped Tallit tallit is available in both shawl and traditional style sizes.